I think I am in love with Filipino food! 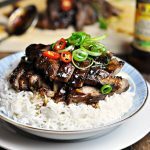 I have found my favourite beef recipe ever! I love a good dish to chow down with rice and this salty and slightly sweet Filipino dish definitely fits the bill. What made the dish is the addition of sliced red onion towards the end instead of softening it until translucent at the beginning of cooking like we used to. 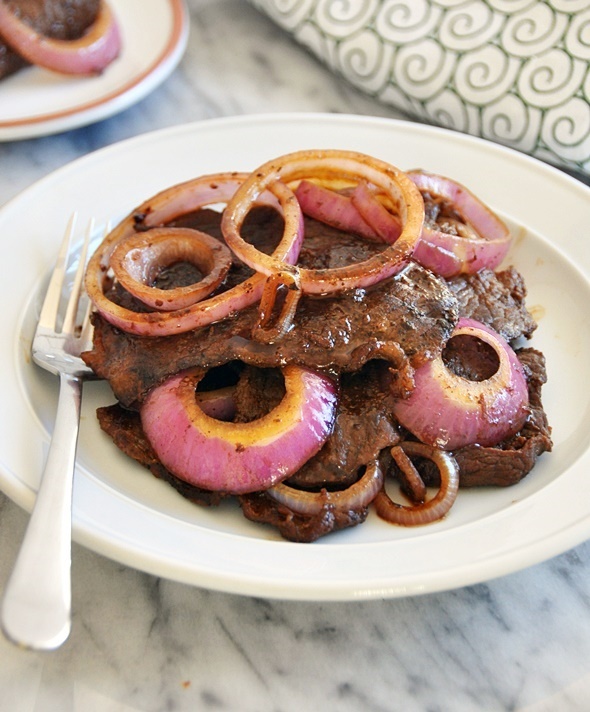 As red onion is the sweeter and milder variety as compared to brown onion, I’d recommend that you stick to red for this dish. You want the red onion to be very slightly softened and soaking up some of the incredibly delicious juices oozing out from the steaks. 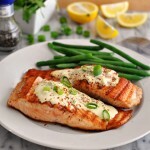 As for the steaks, they are marinated in lime juice, garlic and soy sauce. 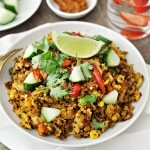 I find adding citrus fruit juices like lime or lemon juice tenderises the meat especially in stir fry dishes where there is no degree of doneness to steaks like medium rare, medium, medium etc. 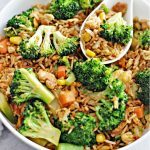 The dish is itself is quite meaty, so feel free to add a vegetable side dish, even simple steamed vegetables would suffice. 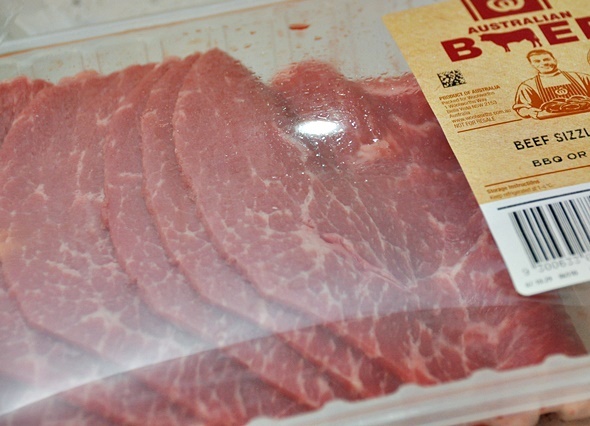 ** I bought the beef sizzle steak variety from Woolworths – they are sliced paper thin as per the photo above. If you buy a normal steak, slice them in 4 to 5 pieces and gently flatten with a meat mallet. Whilst the conventional bistek is a bit chunkier, you can also get away sliced beef strips if it is easier for you. 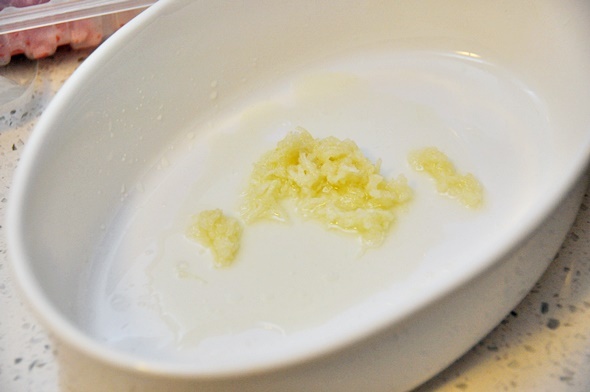 Marinate: Combine grated garlic, lime juice and steaks in a non-porous bowl for at least 30 minutes. I marinated mine the night before. Cooking: Remember to remove the marinated steaks a bit earlier to room temperature if you have done the marination the night before. 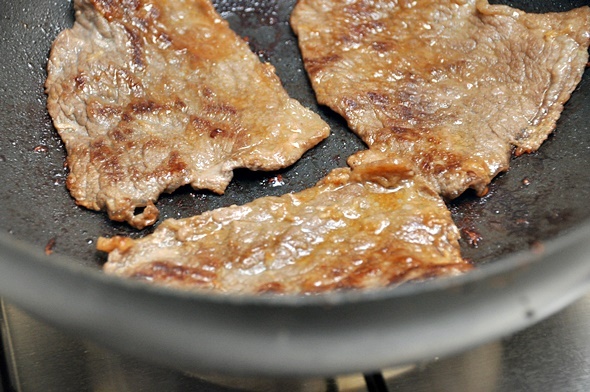 Add the marinated steaks in a large heated non-stick pan and brown the steaks in batches over medium-high heat. 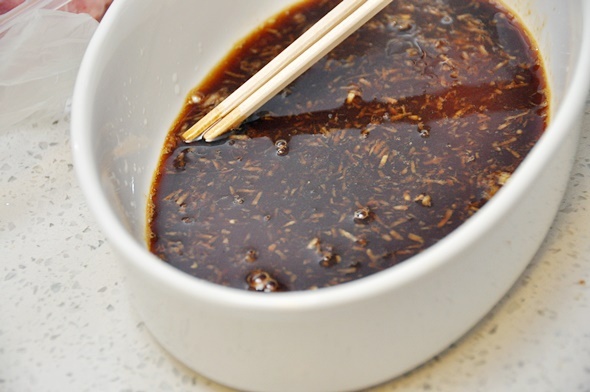 I did not add oil before cooking the steaks to minimise the oil splatter caused by the moisture from the marinate, plus there is some fat content in the steaks I used. Once you have browned all the steaks. 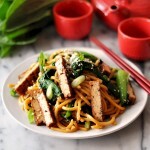 return them to the pan and add kecap manis and toss to combine. Add a splash of water if the mixture seems a little dry. 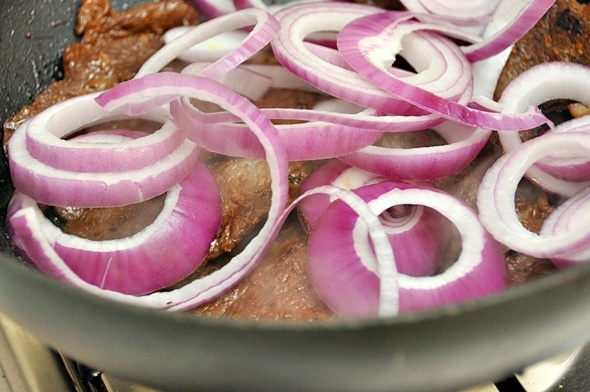 Stir in the red onion and cover the pan with a lid. Cook for 2 – 3 minutes over medium high heat until the onion is slightly soften. 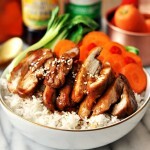 Serve immediately with rice. Beef and onions always go so well together! I think the Filipino has long been overlooked in Aus given our proximity. 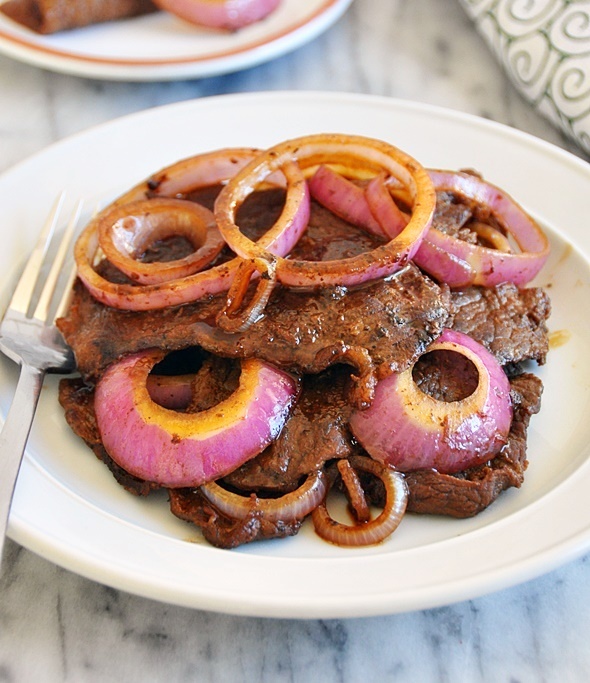 Your Singapore Noodles led me to your site then I saw your version of bistek–one of my all-time favorite Filipino dishes. I could eat this everyday. Yours looks great!